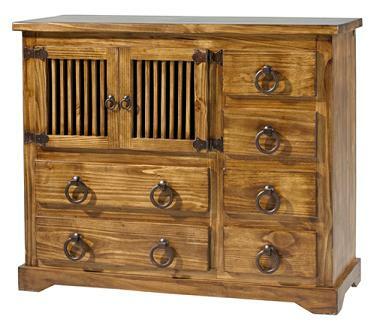 This Dresser is Mission style inspired. 2 long drawers, 4 smaller drawers and a cupboard area that breaths in that tropical weather. NOTE matching headboard and night tables available.